I am used to larger rooms in the United States, so these rooms would be considered very small. However, that seems to be the case with most European rooms. The free breakfast was awesome! We also ate dinner there one night and this was excellent as well. I stayed at this hotel for 10 days in November and was quite happy with every part of it. I had a single cozy room that was clean and quiet(though it was off-season at the time). It did not have very much of a view, but that wasn't of concern to me. 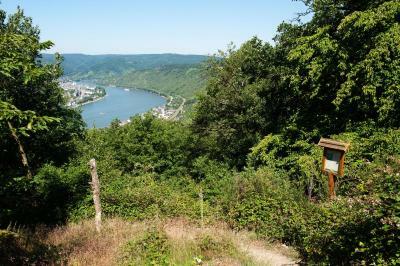 You might have to specifically tell them if you want a room looking out over the Rhein. 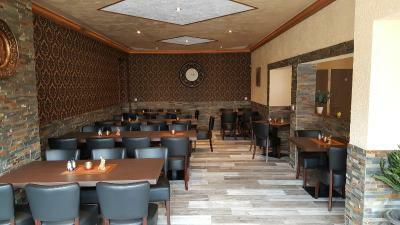 I ate at the restaurant almost every night and the food was very good. It's Italian fare. There was one main man who was my "go-to" person the entire stay and I found him accommodating and always willing to help. They can definitely speak English - I'm not sure about the other hundreds of languages there are in the world. One thing I was first concerned about is the possibility of hearing the train as my window was facing the train lines(they were covered by trees and a wall but you could see the electrical lines above the wall). At least with the window closed it was hardly noticeable...only a faint rumbling sound. 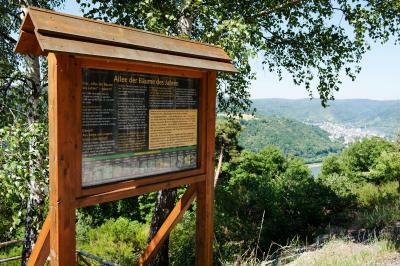 Location: right near Rhine and within waling distance to pleasure boats, within easy biking distance to the ferry to Boppard. Location and quality of restaurants foods are super.also thanks for hospitality.rooms are cleaning everyday.and breakfast was nice. Beds where good and the restaurant had a lot of vegetarian options. Wifi was good. The rooms and the cleaning was ok. No aeras outside the room to spend time in. The brekfast was served on an other hotel so we had to go 500m to get brekfast. The reception wasent open when it was time to check out so there was no chance to get help. Had to ask an other costumer about where to leave the key. 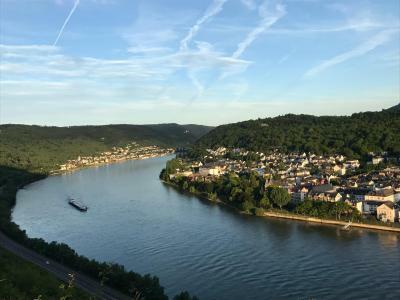 The entire stay was an comfortable and enjoyable experience, well located to explore the surrounding areas of the Rhine valley, good breakfast, clean, pleasant rooms, friendly staff. 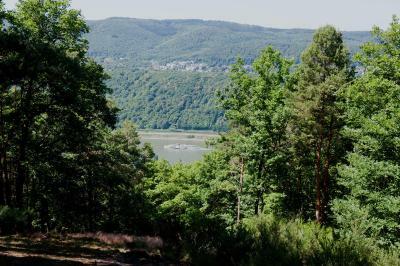 It's on the bank of Rhine as advertised, but no real view of Rhine due to obstructing trees all around. 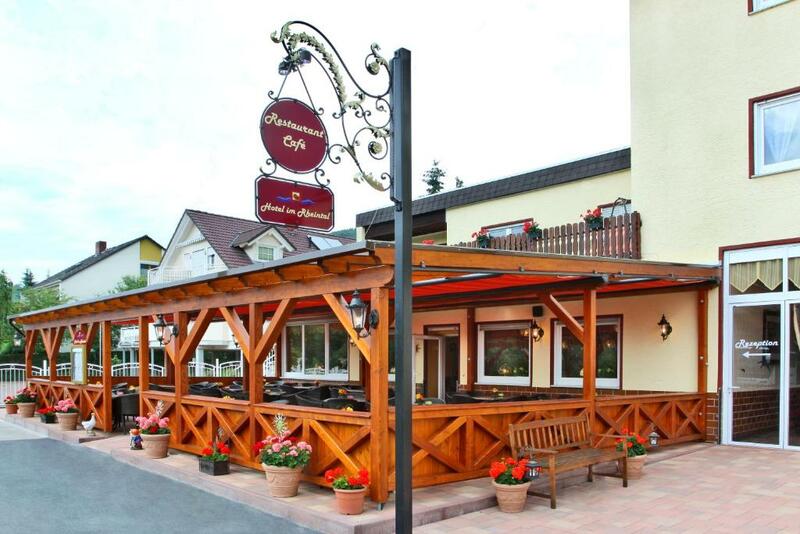 One of our best sellers in Kamp-Bornhofen! 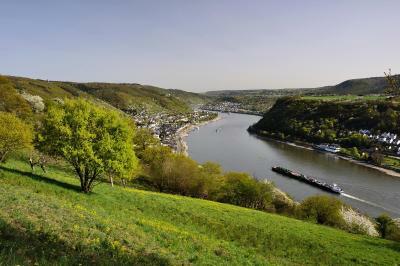 This hotel near Kamp-Bornhofen is located directly on the River Rhine, in the UNESCO Middle Rhine Valley. 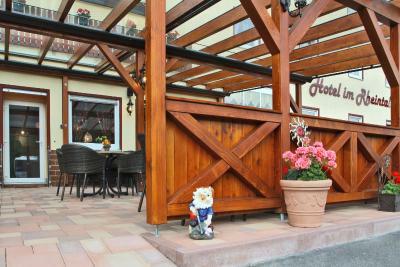 Hotel im Rheintal features a restaurant, a bar with lounge and a summer beer garden. 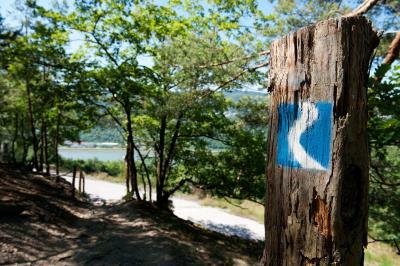 Cycling and hiking paths lead directly to the hotel, which offers bicycle rental facilities. 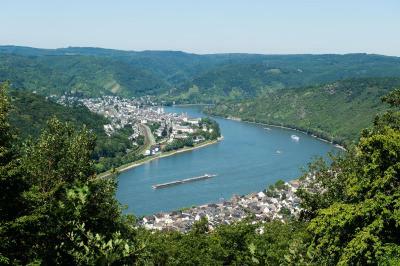 The ferry to Boppard is 3.1 mi away and guests can take boat trips to Koblenz, Bad Ems and Rüdesheim. 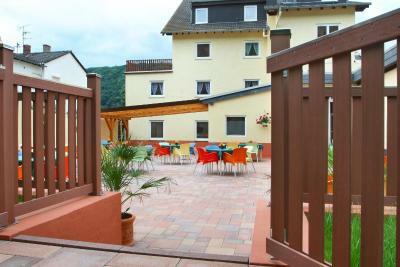 The nonsmoking rooms at Hotel Im Rheintal feature a flat-screen TV and a private bathroom. Almost all rooms have floor heating. 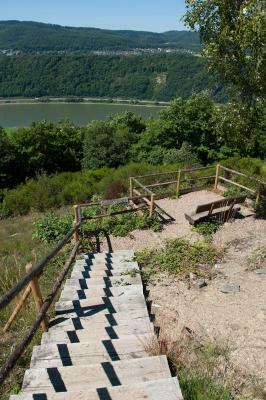 Rooms offer a view of the Rhine and the mountains. 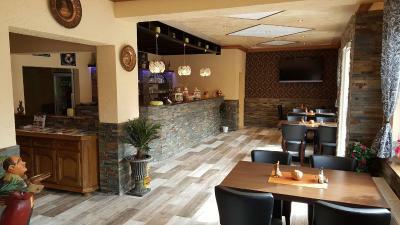 Traditional German cuisine and homemade cakes are served at the Hotel im Rheintal's restaurant, where sports events are shown on the 50-inch flat-screen TV. 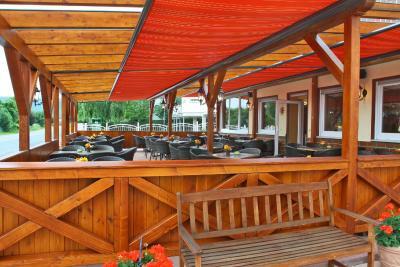 Guests can relax on the terraces or in the smoking lobby. 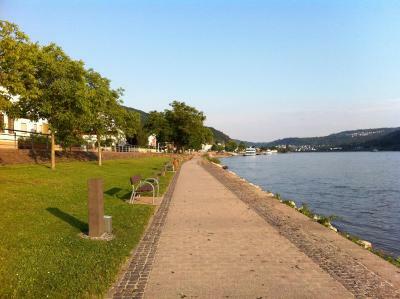 Parking is free at Hotel im Rheintal, and bicycles and motorbikes can also be safely parked. 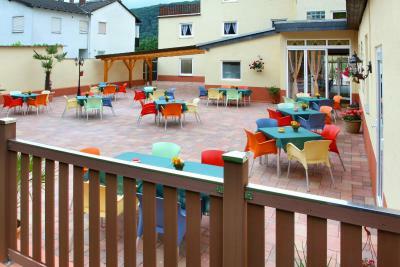 The hotel is 9.3 mi from Koblenz and within a 1-hour drive of the cities of Cologne, Bonn, Frankfurt and Trier. 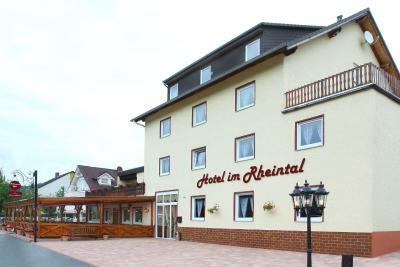 When would you like to stay at Hotel im Rheintal? 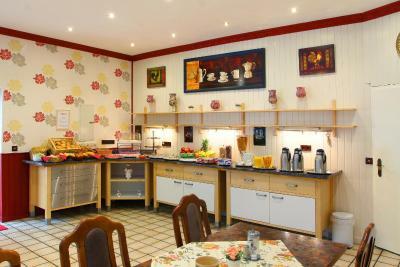 This room offers a bathroom with a shower, and a flat-screen TV with 50 German and international channels. The double rooms on the ground floor are easily accessible and have low shower trays. 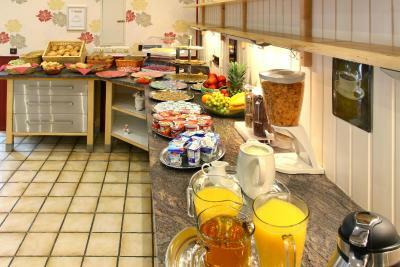 Allergy-free rooms are also available and can be booked on request. This room offers a mountain or river view, a bathroom with a shower, and a flat-screen TV with 50 German and international channels. This room is on the ground floor and is easily accessible and has a low shower tray. The triple rooms on the ground floor are easily accessible and have low shower trays. House Rules Hotel im Rheintal takes special requests – add in the next step! 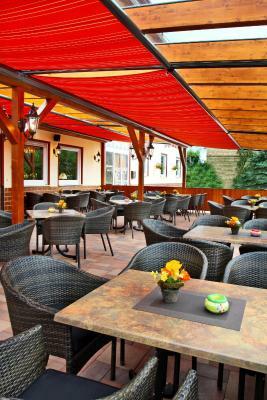 Hotel im Rheintal accepts these cards and reserves the right to temporarily hold an amount prior to arrival. Guests can purchase ferry tickets in the hotel's restaurant. There was not hair dryer at our room. Loved the staff really nice! In the middle of nowhere and staff were not very friendly on arrival. Breakfast was at another hotel further down the road about 5 min walk. The service there was terrible with one member of staff very rude and made us feel uncomfortable. We had no coffee on the table on two occasions and we felt like we were a nuisance when asking for some. In fact we did ask for milk and it was slammed on the table !! Would not visit here again. 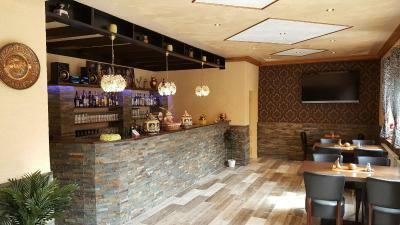 First, it's really an Italian restaurant that you enter through and no one spoke English. We had walked from the KD boat and it took at least 15 min. It took about 10 + min to find the "lady" who spoke very little English to check us in. She pointed down the road for the free breakfast. We had to find our own room and lug our suitcases up 2 flights of stairs. Despite arriving early we had a back room that had 1 window that looked onto a aluminum cover over bikes. The room was HOT and there was no a/c and only 1 window that barely opened and no breeze. The train tracks were directly behind that and loud. The beds were really soft and the couch thing awfully faded and horrible to sit on. I tried to ask about a bus but no one could understand me and finally gave up and asked for a taxi. They gave me a number to call. We left after about 2 hours and didn't stay the night. There was nothing in the room about what to do in the area or how to get around and since no one spoke English and there was nothing around it and all the things we looked up to do were a far walk we gave up! Stay on the other side of the river! 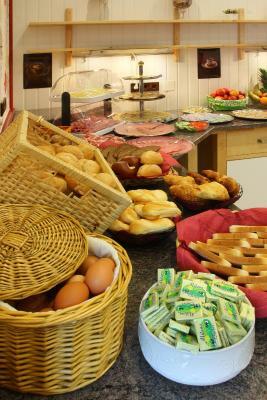 Breakfast was not served in the hotel, we had to go to another hotel for that. The food in the restaurant was not that good. Our room was at the ground floor next to the busy rood. While booking it was written as River view, but what I got was not review view room. It is ok for a 1 night stay or for work, not as a vacation stay for more days. When we arrived, we were told to go down the street. This is where the rooms were. The hotel in your pictures is only a restaurant. The person at the restaurant told us the hotel down the street is where our room is. 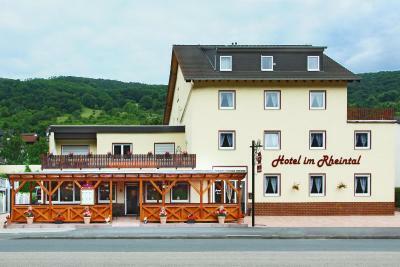 So, the actual hotel is Hotel Rheinkonig NOT Im Rheintal. I didn't mind it as I like walking, but their breakfast was served at a sister hotel about a 5-minute walk away. The train stop is at least a 10-minute walk if you are a fast walker and the only real grocery store in town is at least 20-minutes if not more by foot. Also, there are no elevators, so you'll need to request a ground floor room if you have climbing issues. A general word of warning for train users: the train station does not have a ticket machine so you will need to find the ticket controller as soon as you get on the train. If you don't do that, you could face a 60 Euro fine. I was able to claim ignorance and get out of it once, but it depends who you get. it was not as stated on booking confirmation, the room was stated to be on ground floor instead it was up 4 flights of stairs, the on sight parking was 200mts away at sports centre.On arrival I was told your room is up there and left to find it myself. The fixtures and fittings were at least 30yrs out of date . I could definitely not recommend this hotel.